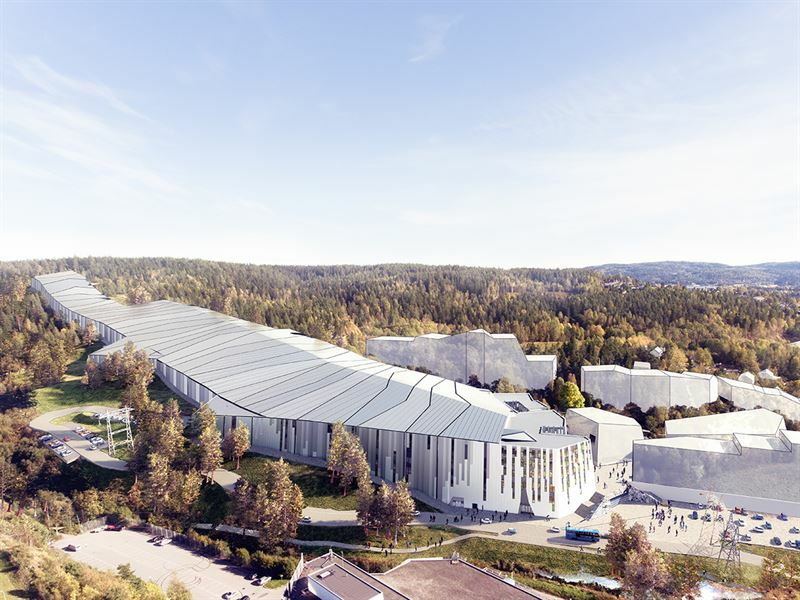 The world’s largest indoor ski center is under construction at Lørenskog, Norway, approximately 20 kilometers east of Oslo. The six-story skiing complex houses a downhill ski slope over 500 meters long and a suspended cross-country ski track. Tikkurila partners with Ruukki Construction in providing the steel structures for the site. The ski center has a snow-covered area of around 40,000 square meters, which is the equivalent of five football pitches. The downhill ski slope, equipped with three ski lifts, will be accompanied by a cross-country ski track. The ski track, suspended from the roof structures, will comprise of 150 components and weigh about 500 tonnes. The complex has been designed by Norwegian Halvorsen & Reine AS and the opening is scheduled for early 2020. Over 60 companies are involved in building the EUR 105 million ski center. Ruukki Construction, a subsidiary of SSAB, is in charge of designing, manufacturing and installing the steel frame and load-bearing sheets. The steel structures are manufactured in Ruukki’s Peräseinäjoki and Oborniki units, where they are also coated with Tikkurila's polyurethane system TP131. The paint system includes anti-corrosive Temacoat Primer and high-solids polyurethane topcoat Temathane PC 50. The combination provides excellent weather and abrasion resistance for steel, stainless steel, aluminum and zinc surfaces. The quality standards for the ski center's steel structures and protective coatings are very high. The minimum structural steel grade was S355, but certain structures of longer span distances required S550 high-strength steels. Protective coatings had to meet corrosion class C3 H according to EN-12944. – These standards are exceptionally high for indoor steel structures. All outside structures had to be galvanized steel, explains Mika Jäsperlä, Design Manager of Ruukki Construction. – In protective coatings, we must consider not only the final purpose of use, but also logistics. An element made for indoors has to withstand varying weather conditions during transport, such as overseas shipping. Our epoxy primer gives steel structures excellent chemical and abrasion resistance and our polyurethane topcoat protects them from the weather and ultraviolet radiation. This ensures, that the final structures fully match the architects vision, says Mikko Soini, International Key Account Manager at Tikkurila Oyj. Want to see how the project is coming along? Go to www.snooslo.no/live-fra-sno.